This shirt is of very high quality at a good price. It arrived in a timely manner and was well wrapped and presented. 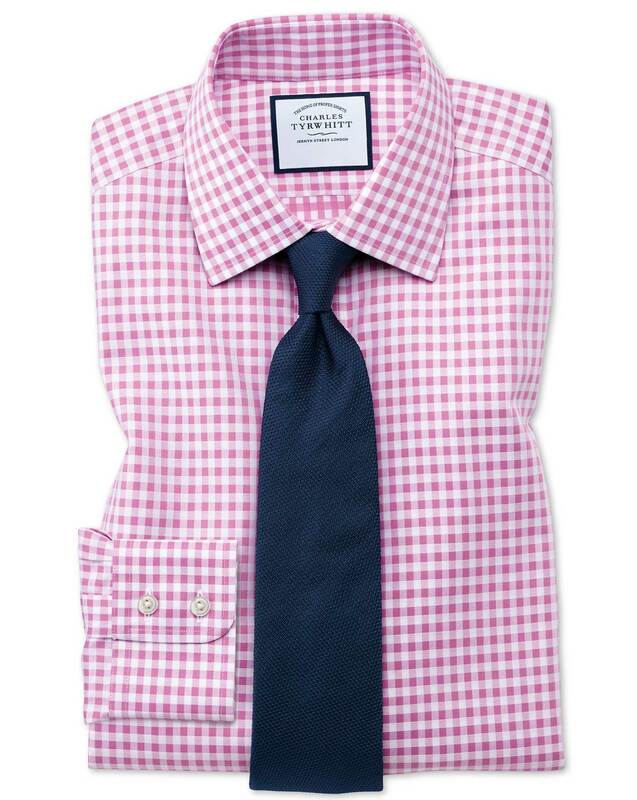 We will definitely buy from Charles Tyrwhitt’s again! Beautiful, I liked it so much. Response from Charles Tyrwhitt: I understand you prefer to have the monogramming on your shirts as small as possible, and it's certainly regrettable that this has caused some problems. We should be getting this type of request spot-on, of course, and I'm sorry it hasn't been the case. Rest assured, your feedback will be shared with our Tailoring Team and we'll do our very best to get this perfect for you going forward. I've worn this beautiful shirt twice -- and I've received 3 compliments. I'm batting over 1000!